Last Saturday, Oct. 6, the planetarium movie nights resumed in our campus’s Heitkamp Planetarium with the classic 1996 movie “Space Jam”. 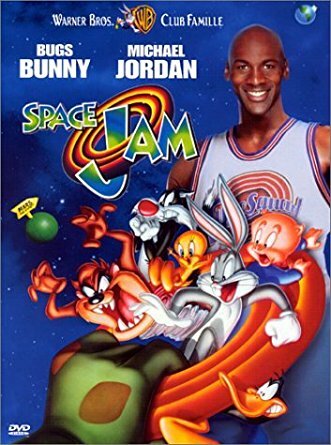 This movie brought a lot of students back to fond childhood memories, where it was normal to watch movies in which Michael Jordan and animated Looney Tunes characters merged worlds and played basketball together. There was laughter at the Looney Tunes antics, students jammed out to the awesome movie soundtrack, and everyone not-so-secretly wished they were as good at basketball as Michael Jordan and the TuneSquad. Based on the crowd’s response to many of the on-screen comedy, not much has changed. However, rumor has it there is going to be a second “Space Jam“ coming out in the next few years…at least 24 years after the initial “Space Jam” premiered. Two decades after “Space Jam“ was released, Warner Bros. announced a sequel was in the works, but details were very hard to find when that first announcement came out. Since then, more information has surfaced: the movie will tentatively be filmed in 2019 (during the NBA off-season), LeBron James will fill the (large) shoes of Michael Jordan as lead non-animated character, and the plot will include more Monstars action—the original villains of “Space Jam”. The news has been relatively well-received. Ask any 90s-bred kid, and they’ll say they’re ecstatic and can’t wait to see what new basketball action the movie will be bringing to the table. The original “Space Jam“ was met with some criticism, so it’s likely not everyone will be as enthused about this new “Space Jam” installment as expected. However, CG and animation have come a long way since 1996, so original fans will probably be pleasantly surprised by the sequel. An Instagram post by SpringHill Entertainment revealed that Terence Nance will be directing the movie and Ryan Coogler from “Black Panther” will be producing the movie. Also cryptically embedded in the Instagram announcement were the numbers 1-23-20-21, leading many fans to believe the release date of “Space Jam 2” will be Jan. 23, 2021. As for movie atmosphere for this particular showing of “Space Jam“, the planetarium was a unique and appropriate venue to host this film. Since “Space Jam” includes villains from outer space, what better place to view the throwback flick than the Loras planetarium? And maybe, in 2021, the second installment will be shown there too.